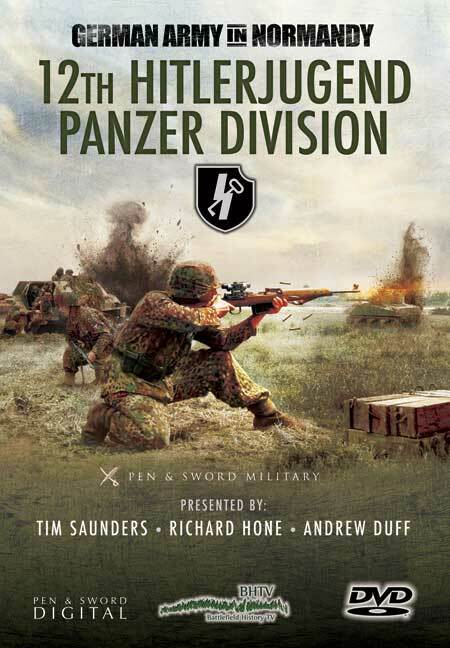 You'll be £12.99 closer to your next £10.00 credit when you purchase 12th Hitlerjugend Panzer Division: German Army in Normandy. What's this? The most implacable opponents of the British and Canadians fighting in Normandy were the largely teenage soldiers of the Hitlerjugend. From D+1 through to attacking back into the Falaise Pocket, this unique division constantly thwarted Montgomery's plans and exacted a terrible price on the Allies for every mile gained. Formed from 'volunteers' from the Hitler Youth Movement in the aftermath of Stalingrad, this division of boys, aged 17 on recruitment into the SS, came of age and were declared fully operational just before D Day. Coming from a fully militarized society they made exceptional and highly committed soldiers but with officers and non-commissioned officers from the Leibstandarte commanding them, they were to become a ruthless and brutal arm of the Nazi fighting machine that battled towards the Eastern Front. Both Hitlerjugend's alleged atrocities and their remarkable doggedness in battle made them a loathed but grudgingly respected opponent to all who fought them. In this DVD, we hear from the last surviving senior German officer, Obersturmbannführer Hubert Meyer, now in his late nineties, as he explains his role as a commander of the Hitler Youth, giving a rare insight into the German perspective of the Normandy campaign. 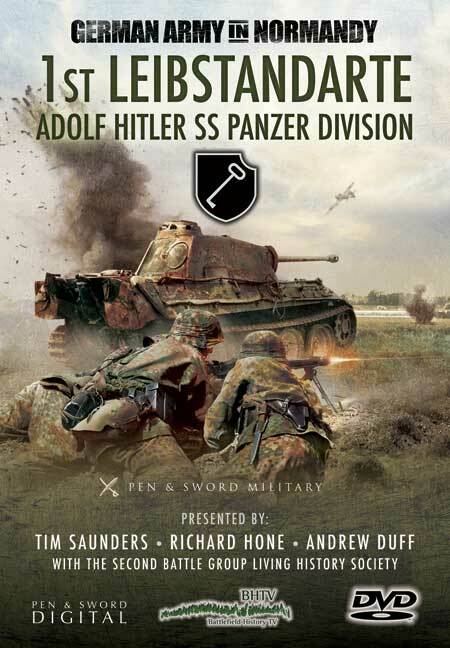 12th Hitlerjugend Panzer Division continues the successful BHTV style of location shooting on the fields and villages where the fighting originally took place, as well as SS re-enactment footage to illustrate the various battle scenarios. The DVD is further complimented by a wealth of original archive footage and in-depth explanations of the weapons and machinery used during the period, making this compulsive viewing for all Second World War enthusiasts. I found this DVD not only extremely interesting and well produced but also, to my slight surprise, highly watchable too. Highly recommended! There is little doubt that the Hitlerjugend Division retains a fearsome reputation as a result of the stand it made in Normandy in 1944. Given the mixture of fact and mythology attached to the division it is easy to build an image of brainwashed teenaged fanatics holding up the Allied advance by fair means or foul. We know that many of the very young men involved had been indoctrinated in the National Socialist system from their formative years. As the presenters of this DVD point out, there is always much more to a simple black and white story. They make no effort to gloss over excesses or add to the myths. With the aid of the veteran officer Hubert Meyer they seek to build a picture of the creation, the preparations and the deployment of the division during those climatic days from D-Day onwards. This is a well produced an immensely studious production. The presenters walk the battlefield and explain the significance of individual events and it makes for an excellent source of information should you plan to follow in their footsteps. Careful use of archive footage, still photographs and modern film of living history groups and restored vehicles add to the effect. Snippets from the best known UK military events and angular sequences on HMS Belfast enhance the package. The use of maps and diagrams is particularly good. Whatever your view of the SS, Hubert Meyer is a dignified presence. The presenters are battlefield guides by profession and their expertise gives this film the kudos a recognised face off the telly could not. It works well and had the effect of encouraging me to walk the fields and hedgerows where the Anglo-Canadians clashed so brutally with these infants terrible of the Waffen SS so many years ago. This is a very informative documentary and places the Hitlerjugend in its correct perspective. The indoctrinated young soldiers were the product of the Nazi education programme and fought with skills and courage against the Best Allied troops in some of the greatest Battle of WWII. An important insight into the German perspective of the Normandy campaign making compulsive viewing. An excellent product. A quite brilliant account of the young soldiers of the Hitler Youth who were formed into this most feared, notorious, highly skilled and motivated of SS Panzer Divisions. Moved to the Normandy sector before D-Day and initially tasked with counter-attacking the Canadian sector, they fought with a reckless determination to contain the Allies in their beachheads, and, having been in continuous action throughout almost the entire campaign, they perhaps did more than any other formation to frustrate Montgomery's efforts to breakout. The DVD is very balanced in its narrative, describing several atrocities perpetrated by the Division whilst also giving full credit to their remarkable fighting ability. An almost day by day account of the Division's activities is presented, which, coupled with guided tours of the actual battlefields, most vividly describes their part in the defence of Normandy. Highly recommended.